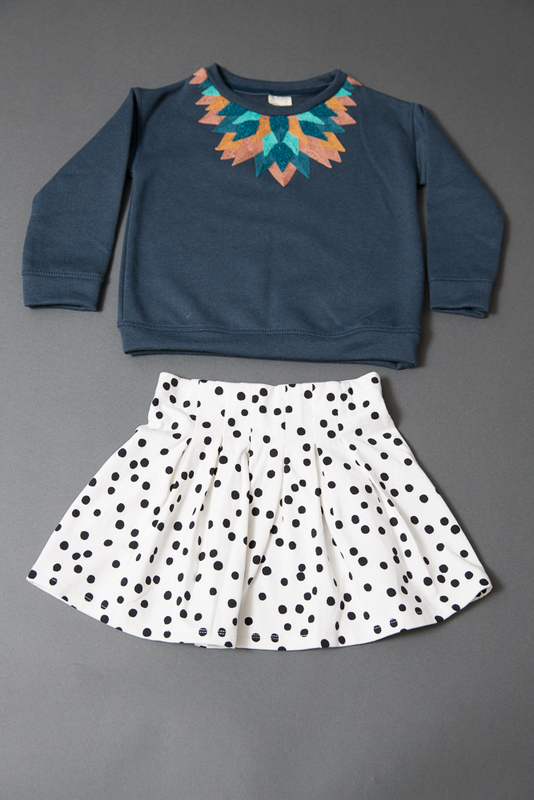 We love to freshen up a skirt by wearing it with different tops to keep it feeling new every time! 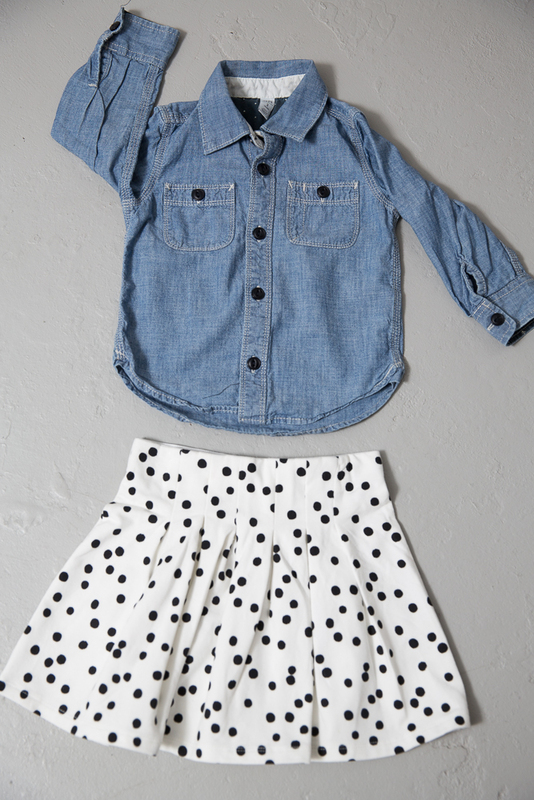 Here are three ways you can style this polka dot skirt for a new vibe every time. 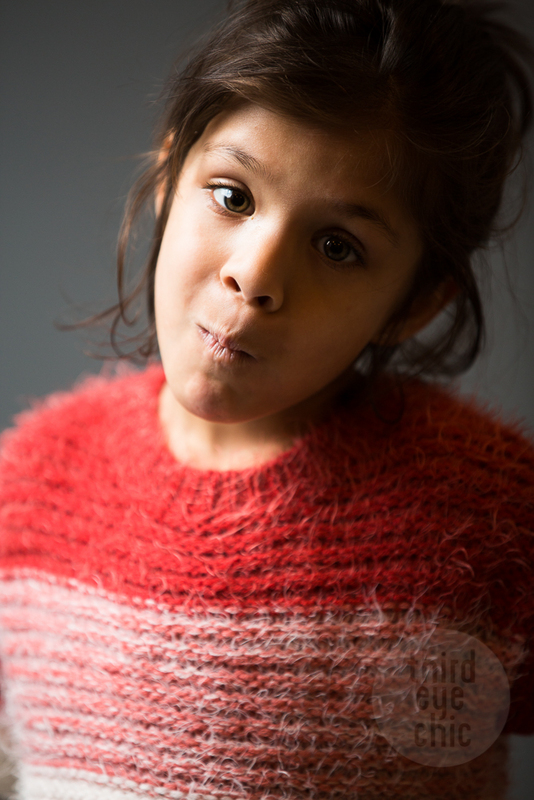 Here's a picture of N wearing this cute colorblock fuzzy sweater. Such a monkey and so not interested in being at the studio! For more inspiration, see more of one skirt, three outfits.